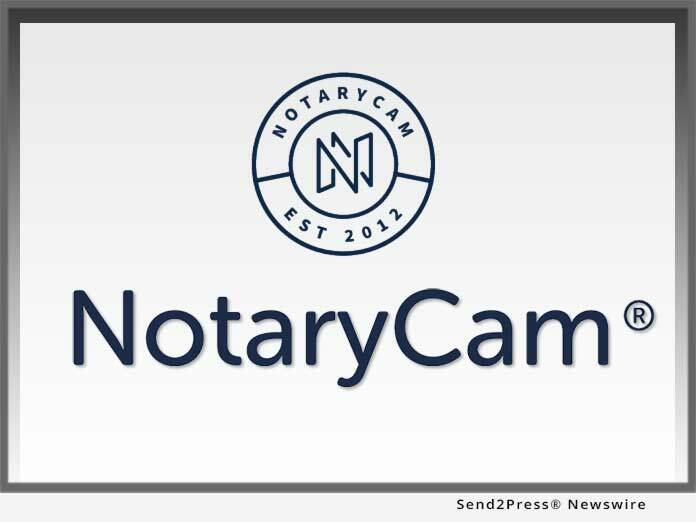 By Send2Press Newswire on April 3, 2019 in Mass Media News, NEWPORT BEACH, Calif.
NEWPORT BEACH, Calif., Apr 03, 2019 (SEND2PRESS NEWSWIRE) -- NotaryCam(R), the pioneering leader in online notarization and original provider of mortgage eClosing solutions, today announced that it has been included on the sixth annual HW Tech100(TM) list published by housing and mortgage industry trade magazine HousingWire. This marks NotaryCam's debut on the HW Tech100 list, which recognizes technology companies from all sectors of the U.S. housing economy that "continue to push the edge of innovation to move markets forward." "NotaryCam introduced remote online notarization to the real estate and mortgage industries and set the standard upon which current industry utilization, as well as existing and pending legislation, is based. The next frontier in digital mortgages is remote online closings, of which remote online notarization plays a critical role. As more partners accept remote online notarization, we fully expect to see the closing ceremony move away from the traditional closing table, providing much-needed convenience, efficiency and cost savings to lenders and consumers alike," said NotaryCam Founder and CEO Rick Triola. "NotaryCam is honored to have HousingWire recognize our efforts to move the mortgage industry forward, and we will continue to push for innovation in the real estate sector." HousingWire editors noted NotaryCam's position as the first remote online notarization (RON) provider for the mortgage industry, as well as the company's 2018 release of its eClose360 Enterprise Portal. The eClose360 Enterprise Portal makes it easier than ever for mortgage lenders, brokers and settlement companies to upload documents and join a remote online closing (ROC) ceremony. A streamlined dashboard allows companies to manage open and completed transactions in one place. Companies can customize status updates and use built-in reporting to track their performance. "This year's Tech100 list is stronger than ever! We leveraged a highly-qualified selection committee to review all nominations and guide the selection process. This extra layer of expertise and practical exposure to selected companies was influential in helping HousingWire recognize the 100 fintech companies that deserve the honor of being named the greatest players in the game," said HousingWire Editor-in-Chief Jacob Gaffney. "We couldn't be more proud of the innovators and entrepreneurs behind these organizations, and we hope you'll join us in celebrating their inclusion on the most prestigious list of its kind - the HW Tech100." The full list of this year's winners is available at https://www.housingwire.com/articles/48513-here-are-the-housingwire-2019-tech100-winners. HousingWire is the nation's most influential source of news and information for U.S. mortgage markets, boasting a readership that spans lending, servicing, investments and real estate market participants as well as financial market professionals. Winner of numerous awards, including a 2012 Eddie Award for national editorial excellence in the B-to-B Banking/Business/Finance, HousingWire has been recognized for excellence in journalism by the Society of Business Editors and Writers, the American Society of Business Press Editors, the National Association of Real Estate Editors, and Trade Association Business Publications International. After pioneering the world's first multi-party/multi-state remote online notarization (RON), career real estate executive Rick Triola founded NotaryCam and completed the first mortgage remote online closing (ROC) in 2014. Today, NotaryCam is the leader in online notarization and mortgage eClosing solutions, having notarized documents worldwide for hundreds of thousands of customers in all 50 states and over 90 countries. The company's patented eClose360(R) platform delivers the "perfect" online mortgage closing in every jurisdiction with a flexible workflow for document recording and unparalleled identity verification, security and customer convenience. NotaryCam also proudly maintains an industry-leading 99.8 percent customer satisfaction rating. Visit https://www.notarycam.com for additional information or to get a document notarized today. Awards and Honors, Business, California Business, DepthPR, Finance, HousingWire HW TECH100, Newport Beach Business, NotaryCam Inc.